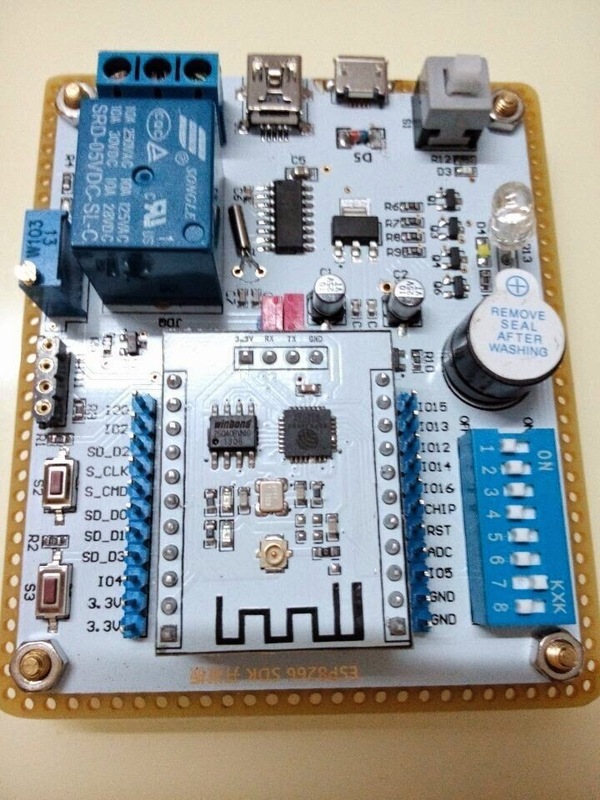 IoT with ESP8266: ESP201 dev board - One more finding #2. Perfect ! The last piece of puzzle was found. How to control the relay on the ESP201 development board. The on board relay is connected to DIP J, and to GPIO16. In order to trigger GPIO16 you need the function from gpio16.c from IoT Demo. Now, during the init gpio part I can call the gpio16_output_conf to setup the GPIO16 as an output GPIO type. Programmatic now I can call gpio16_output_set (0) or gpio16_output_set(1) to trigger the onboard realy OFF or ON. Again, this is the board I am using for testing and development. Great blog which helped me already a lot. I don't get this gpio16 running/compiled. Can you tell from where exactly you copied the .c and the .h file? And which headers did you exactly include in your .ino? also the .h file and put it in one folder. I also tried to include #include "stdint.h" in my .ino file but it didn't helped. Maybe you could publish all your 3 files which you used.